By accident, this week has found me reading novels set in far flung corners of the world. Last weekend I started to read Midnight’s Children, the 1991 Man Booker prize novel by Salman Rushdie. It’s set in India on the cusp of that country’s independence from Britain. The book opens with the birth of the central character Saleem Sinai at the stroke of midnight on August 15, 1947, the exact moment the newly in dependent nation is born. it then goes back in time to look at the lives of Saleem’s ancestors including his grandfather doctor. One thing the two have in common is a large nose and an uncanny sense of smell that enables them to detect when something is not quite right. This is not an easy read – I find I can only absorb it in small doses and keep forgetting who each of the characters are – so as light relief I began reading a book that has been on my shelves for more than a year. Balzac and the little Chinese Seamstress is a first novel by Dai Sijie, a writer who lived through the Cultural Revolution in China during the 1970s but now lives in France. It’s a poignant ‘coming of age’ novel set in a remote mountainside village near Tibet where the narrator and his friend Luo are sent as teenagers to be ‘re-educated’ by living among the peasants. The narrator is a ‘fine musician’ who entertains the villagers with renditions of Mozart sonatas though since all Western culture is banned he has to pretend the music is written in praise of Chairman Mao. His friend Luo is a gifted storyteller. They both fall in love with the beautiful daughter of a tailor and with books by Balzac and Dumas they discover another boy has kept hidden. It’s a mesmerising story about a painful period in China’s history – a story made even more touching when I discovered that it’s semi autobiographical since Sijie himself was also subjected to the same re-education program. From two of the world’s current economic powerhouses, my reading took me this week back to the cultural and economic powerhouse of ancient Greece with an adventure into reading some Greek tragedy. I’ve put Medea and some of the other plays written by the Greek dramatist 400 years BC onto my reading list for the Classics Club challenge, thinking that you couldn’t get more classic than this. I was expecting something rather complex in terms of language or meaning but was very pleasantly to find how readable it was and how its themes still resonate today. The central of Medea reminded me a little of Lady Macbeth in the way they view murder as a means to an end but at least Lady M experiences remorse where Medea seems to feel none. You can read the review here. Posted on November 4, 2012, in Classics Club and tagged Chinese authors, Classics Club challenge, Egypt, India, Man Booker Prize. Bookmark the permalink. 9 Comments. 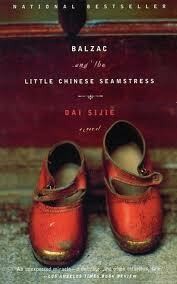 I loved Dai Sijie’s novels, and you know, the movie adaptation is very good too. I’ve traveled a lot from my armchair this year, thanks to my 52 countries reading challenge the best challenge ever! I was really intrigued by your 52 countries challenge so had to take a peek. Some of the names you listed I recognised but most were new so of course I have to add them to my list and se the mountain TBR grow even more. How do you decide which book or author to read for each country? Does it have to be set in the country or Nly an author from the country for example? it’s what you like: either in the country or by an author of that country. how to choose? I usually do a google search: best books in X country Goodreads, that sends me directly to a Goodreads listing. If nothing grabs me, I also look on wikipedia for literature of X country. but it also depends on what’s available in my library network! as you may have seen, I have been in many reading challenges this year, but this was the most interesting. I hope this helps, if you plan to do this next year. I read Midnight’s Children last year and I didn’t find it as impressive as I expected. I really feel that The Remains of the Day should be the Booker of Bookers (and it wasn’t even shorlitsted). thanks for the reassurance Angus – otherwise reading more than 600 pages when nothing much happens would be a very painful experience. Love Remains of the Day also…..
I’m headed to Russia for the month of November. Armchair travel is so rewarding! And Medea – that is impressive. I find reading plays very difficult. Hope you have plenty of thermal vests to wear – it’s pretty darn cold there. At least it’s a good excuse for a glass of vodka! That’s the kind of travel I most enjoy…from the pages of my books (and my armchair!). There is no jet lag and no security checks. These sound like great books…have another enjoyable week! Well it’s certainly cheaper and less stressful though I do love the experience of travel and seeing these places for real.